Art Boards Traditional Format (11 x 17) with a 10 x 15 non-photo image printed border and 1 Cover Sheet with 10 3/4 x 16 non-photo image printed/ bagged. 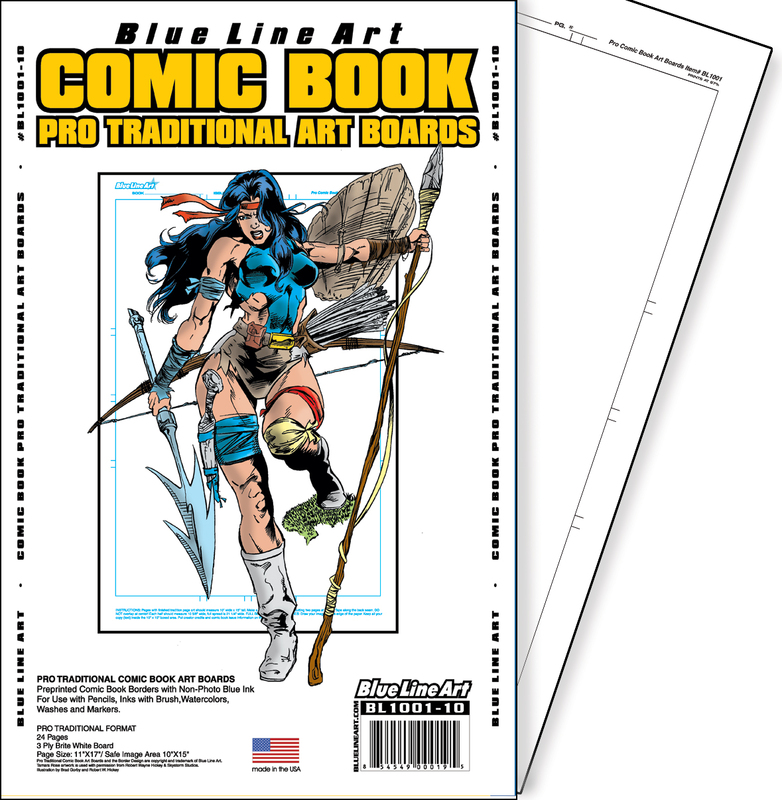 An oldie but goody you can’t go wrong with the Traditional Pro Art Board series. 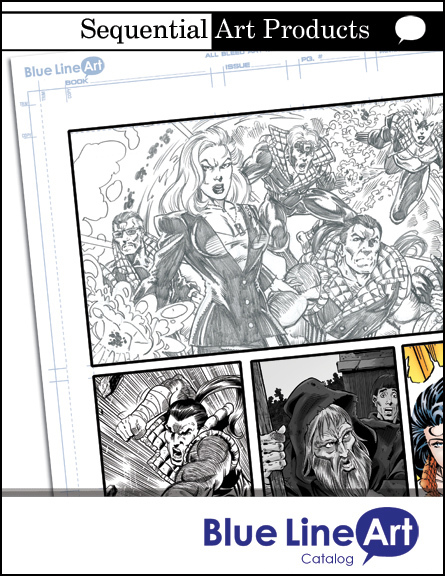 Pro Comic Book Boards surface offers a smooth surface to pencils and inking with a brush literally glides across the surface (quill pen not recommended). Pro has offered thousands of artists the opportunity to begin their careers on pre-printed paper like the professional publisher’s use. 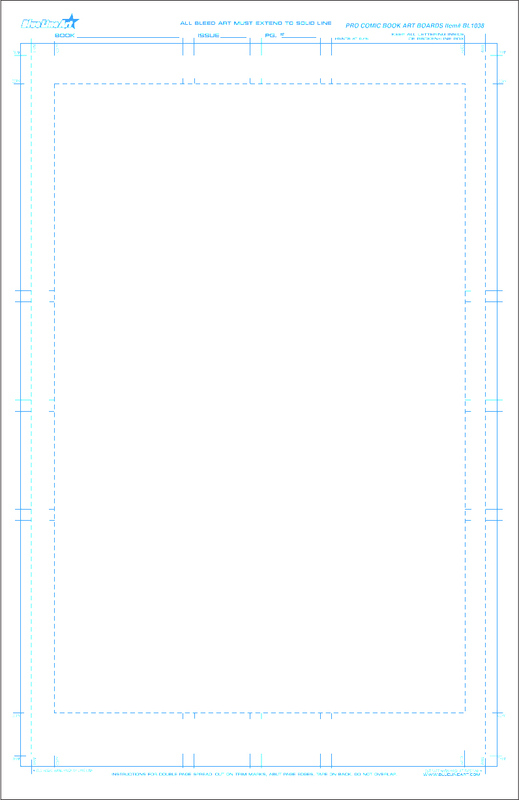 3-ply Art Boards Full Trim Format (11″ x17″) with a 15 ¾” x 10 3/8″ image border with a 9″ x 13 ¾” safe area dotted border area /bagged. 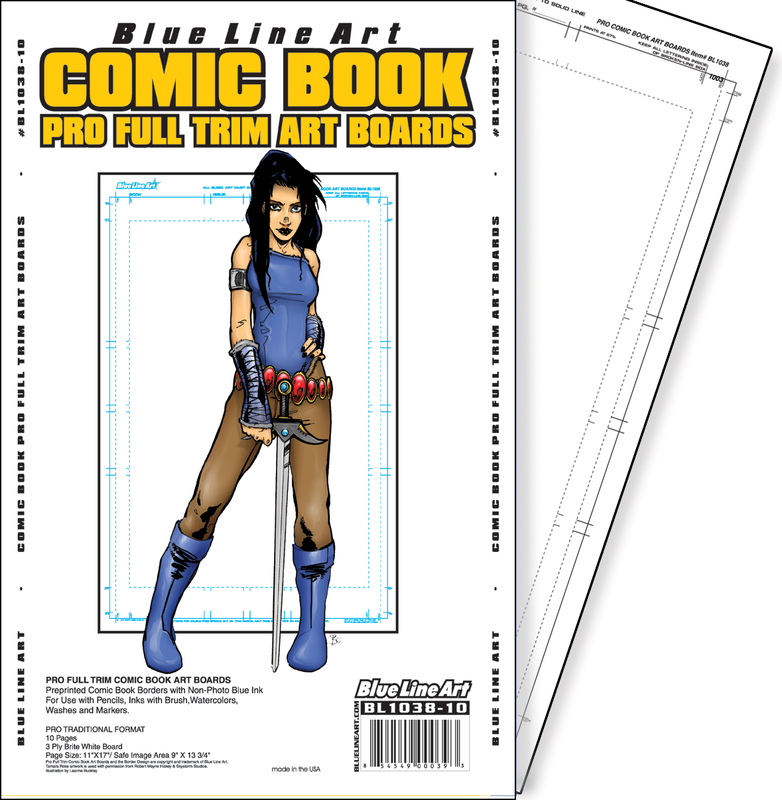 Full Trim Pro Comic Book Art Boards add an extra step from its traditional Pro cousin with an extra non-photo blue internal 9″ x 13¾” border, the same as the with the Strathmore series. This extra proportioned border allows for more freedom and choices when using the board. The border allows the artwork to bleed across so that the final image can be cut down and look fuller. The Pro series has offered thousands of artists the opportunity to begin their careers on pre-printed paper like professional publisher’s use. The Pro series is great for use with pencil and ink (brush recommended) as well as markers, felt-tip pens and acrylics.